Thursday, July 26, 2018– CMON Limited announced today that they have partnered with Need Games!, an up-and-coming Italian RPG publisher, to design and publish Zombicide: The Role-Playing Game (Z:RPG), based on the celebrated board game franchise. 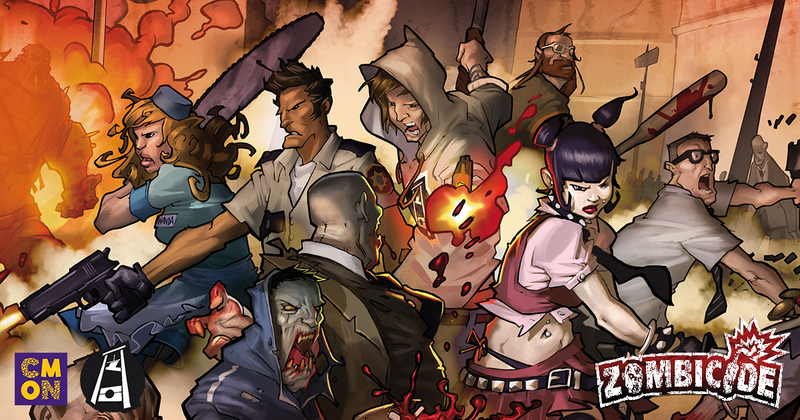 Zombicide: The Role-Playing Game is scheduled for Kickstarter later in 2019. Those attending GenCon 2018 will be able to meet co-designer Francesco Nepitello at the CMON booth (#415) from August 2 to August 5 in Indianapolis, IN. Established in 2017, Need Games! is an Italian tabletop RPG and board game publisher, based in Milan. Recently, the company successfully funded a Kickstarter campaign for Journey to Ragnarok, an adventure module for Dungeons and Dragons: Fifth Edition steeped in Norse mythology, written by Michele Paroli, the Art Director of Need Games!